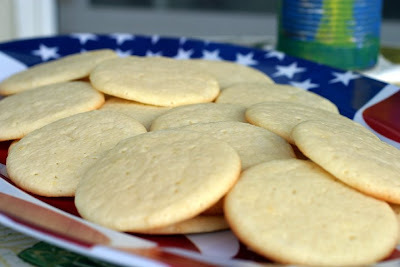 These cookies are simple and turn out terrific. I think they will be my go to recipe for awhile when I need to throw together batter in a hurry. You can omit the lemon zest for a more pure cheesecake flavored cookie. This dough requires some chilling. 1/2 cup cream cheese, softened to room temperature. 1/2 cup unsalted butter, softened to room temperature. In a stand mixer or food processor beat together cream cheese and butter until combined, add the sugar and beat light in color and fluffy. Beat in the egg, salt, vanilla extract & lemon zest. Add the baking powder and beat for a few seconds, add the flour and beat until just combined. Do not over mix the flour. Place the dough in a container with a lid and refrigerate for 3 hours or more. Drop by cookie scoops or tablespoons onto the baking sheets about 2 inches apart. Bake for 12 to 14 minutes until very lightly browned on the edges.